A site specific installation that commemorates the heritage of Warsaw's Jewish community, which was demolished during the holocaust. The installation is based on lighting Menorah’s candles at the windows of the Jewish Ghetto's ruins during the Jewish Holiday of Hanukkah. It was executed through a guerrilla action by young Poles, both Jewish and non-Jewish, who entered the houses and lit the candles. This turns the installation into an active action within the urban space which puts it on the boundary between installation and performance art. The Hanukkah holiday commemorates the Jewish up rise against Greek oppressors during the 2nd century B.C. 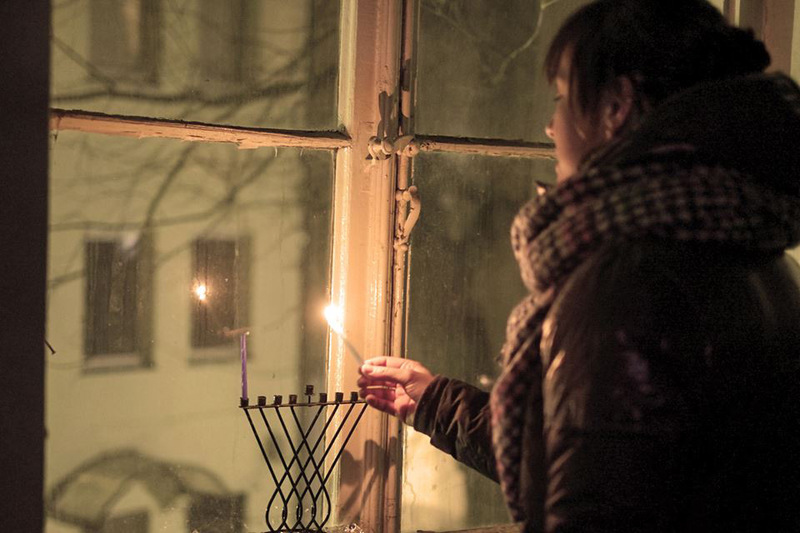 According to tradition, during this holiday Jews light up candles of and display them in a window as a reminder for these events. The story of Hanukah is positioned here in a new context that commemorates the extinction of Polish Jewry by the Nazis. As a persecuted minority, Jews had to perform this typical Jewish custom of lighting candles in secret. 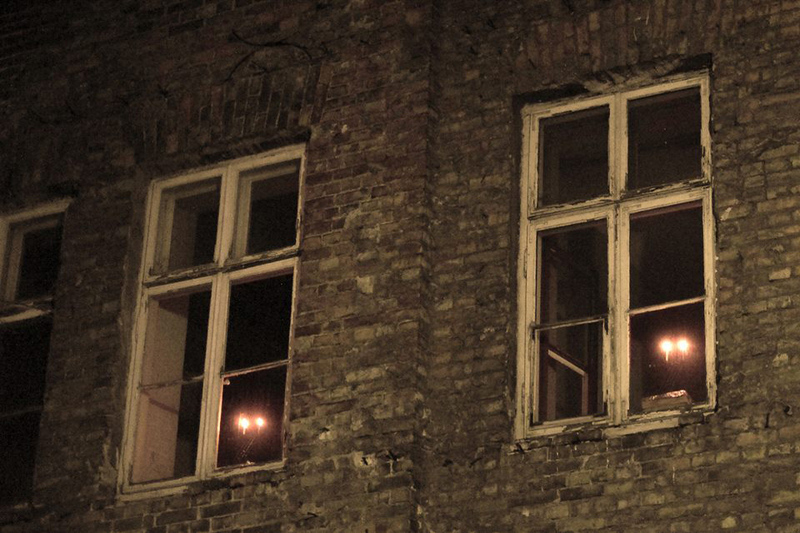 Here in Warsaw the candles are being lit openly in the windows of these houses. 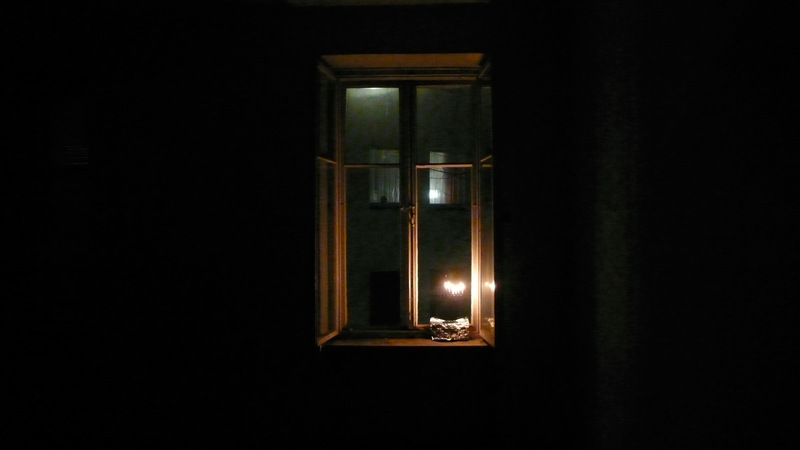 The lighting candles give the abandoned houses an atmosphere as if haunted by ghosts who want to say “We were here once. We’re still here”.